The comments above & below are edited ([ ]), abridged (…) and updated excerpts from a 6500 word keynote speech Alf Field made at the Sydney Gold Symposium which has been edited into 2 parts (see the other part here). The Moses Principle is an irreverent theory based on the question of why Moses spent 40 years traversing the Sinai desert before leading the Israelites to the “promised land”. If God was powerful enough to do all of these things, why not allow the Israelites to go straight to the “promised land”? Why did Moses spend 40 years traversing the barren desert before leading the Israelites to the “promised land”? Here is the irreverent theory. Every Israelite over middle age when they left Egypt probably died during the ensuing 40 years. The younger people were born in the desert or spent their adult lives in the desert. After 40 years the life experience of the survivors consisted of living in the desert. When they finally got to the “promised land” it appeared to be “flowing with milk and honey” when compared to their prior desert existence. What has this got to do with gold?…August 15, 1971 (almost 46 years ago) was the date when the last link between currencies and gold was ended by President Nixon. This launched an era of floating “I owe you nothing” currencies. Money was what any government deemed it to be, generally something that the government could create in unlimited quantities. That system, plus the fractional reserve banking system, launched an era of ever increasing debt and credit. It was an era where debt was desirable and money lost its purchasing power. Everyone in this room has spent their adult lives living under this system. Most have had no exposure to monetary history or what money really is. The new “Moses” generation will have to re-learn the lessons of monetary history before the world can enter a new era of sound money and stable economic growth….If one does not know what caused the current crisis, one cannot know how to go about fixing it. Originally it seemed that Central bankers were selling gold to protect the integrity and longevity of their paper currencies. Perhaps, with the generational change, they did not know any better. Perhaps it was just the “thing to do” at the time. Despite this central bank selling, the gold price went up! Buying by investors/hoarders had exceeded official selling and a new gold bull market was born. 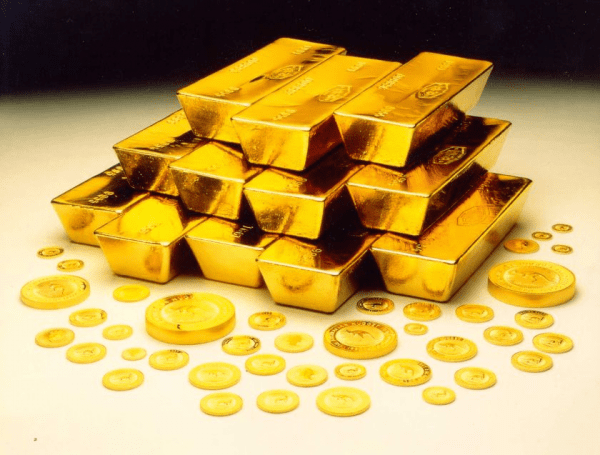 Central bank selling of gold gradually declined. Recently central banks under the leadership of Russia and Asian nations became net buyers of gold. The GFC [Government Fiat Currency? ]has created a much greater awareness in official circles of the role that gold plays as a store of value asset in national reserves. The distortions that have grown out of the 48 year period since 1971 have reached proportions that demand change. The problem is that the current generation does not understand that the root cause of the GFC is unsound money created at will by governments, combined with a banking system that has enabled the creation of an unsustainable mountain of debt. The modern generation is groping with the problem and gradually working towards understanding that the underlying cause of the crisis is monetary. 1. The slate needs to be wiped clean and a new sound monetary system introduced. 2. That will require the elimination of all debt, deficits, unfunded social entitlements, the US Dollar as Reserve currency, and the big one, the $600 trillion of derivatives. 3. To eliminate these problems by default and deflation will cause a banking collapse and untold economic pain, leading to riots and political change. 4. Politicians are appointed for relatively short terms and opt for the easy solutions. While politicians continue to have the ability to create new money at will, they will do so in order to prevent a melt down on their watch. Consequently the odds point to governments wiping the slate clean by generating enough new money to eventually destroy their currencies. 5. The new international monetary system is likely to involve precious metals. It will have to be money that people trust and that governments cannot create at will. [The above] has happened many times before, dating back nearly 900 years to the first paper money introduced in China. History is full of attempts to use paper or fiat money, all of which ended in the destruction of that money. The last century saw virtually every South American country “wipe the slate clean” and begin again with a new money. Some did it several times. The Romans faced a similar financial crisis and resorted to reducing the silver content of the Denarius, eventually by about 95%, before people refused to accept the Roman coins. This is the first time in history that fiat or government issued currency has been in use in every country around the world at the same time. We have an electronic money system which is very efficient. It enables new money to be created at a faster rate than ever before. Every experiment with government issued fiat money has ended with the destruction of that money There is no reason to believe that it will be different this time. The world’s 48 year experiment with floating “I owe you nothing” fiat currencies is coming to an end…. Moses and the Jews did NOT walk through the wilderness for 40 years. That story is made up and the informed do not believe it. Jewish archaeologists will now readily confirm this.